Once you have been to the Rafa Nadal Academy by Movistar, going back feels like going home. There is Daniel in reception, (thinking of having a second baby this year), Tony the restaurant manager to say hello to and a new baby to meet – congratulations to Joan, one of the managers, and hola baby Isabel! This is a family-run place where the staff quickly seem like old friends and the ‘Rafa values’ run through everything. The Academy is a few minutes walk from Manacor and while it may not be the very prettiest town on the island it offers a taste of real Mallorca: it is friendly, unpretentious and down to earth with workshops opening on to the street and the kind of specialist, old fashioned shops you used to find in the UK before the big chains moved into town. We were back at the Academy last week for some match play. When it is not governing tennis around the world, the International Tennis Federation (ITF) runs fun tournaments for amateurs (aged 35+). 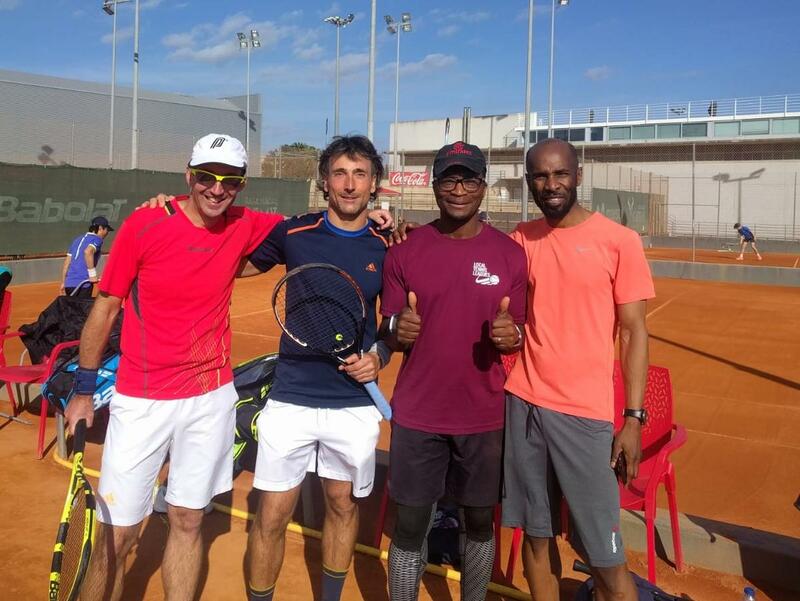 If you want to go on holiday and have some competitive fun at the same time, the ITF is a great place to start, and our tournament at the Rafa Nadal Academy, offered astonishingly good value for money. The level of play in the competition is hard to predict. Just like our leagues, you don’t know who you will be up against until you get there or how many there will be in your group. But organiser Alex, divides everyone by gender and 5 year age brackets. If there are not enough people in say the over 40s mens singles, the group might be combined with the over 45s. Each group plays in either a round robin or a knock out format and you can enter singles, men or womens doubles and mixed doubles, depending on how much competition you want. There was slight hitch on day one when, following storms and cancelled trains in London, Kibbs missed his flight and his first match. 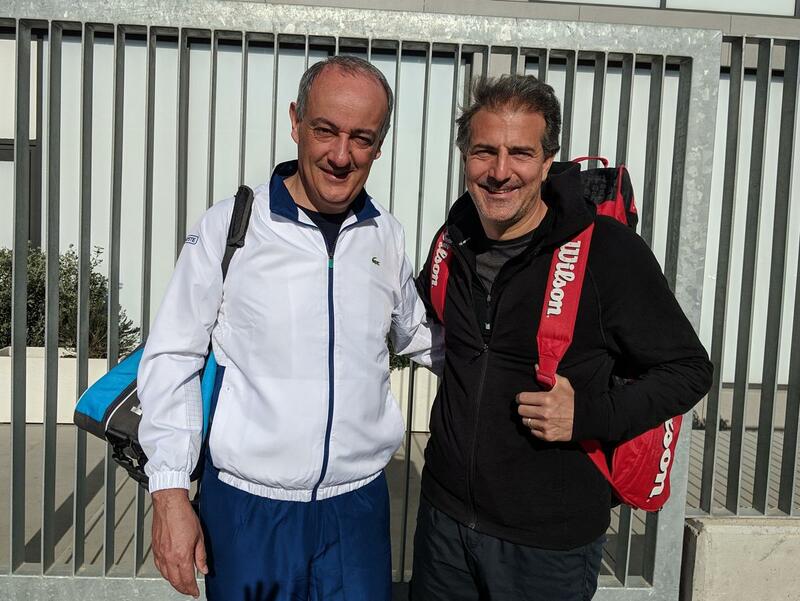 Fortunately organiser Alex, who is getting to know Local Tennis Leagues (this was our fourth trip), extended the draw and stepped in to play himself ensuring Kibbs, who got a flight the next day, could start late. When you are not competing, anyone might ask for a game. The tournament is held on clay, and if there is a spare court between matches, you are welcome to get a hit. The courts are also adjacent to an indoor court. This is Rafa’s training venue when he is around but as he was in Indian Wells that week, it was available to all of us. Many in our group hired a car and between matches, there is plenty of time to explore or head for the coast. The beautiful beaches and turquoise water at Mondrago National Park were particularly admired on our WhatsApp group. 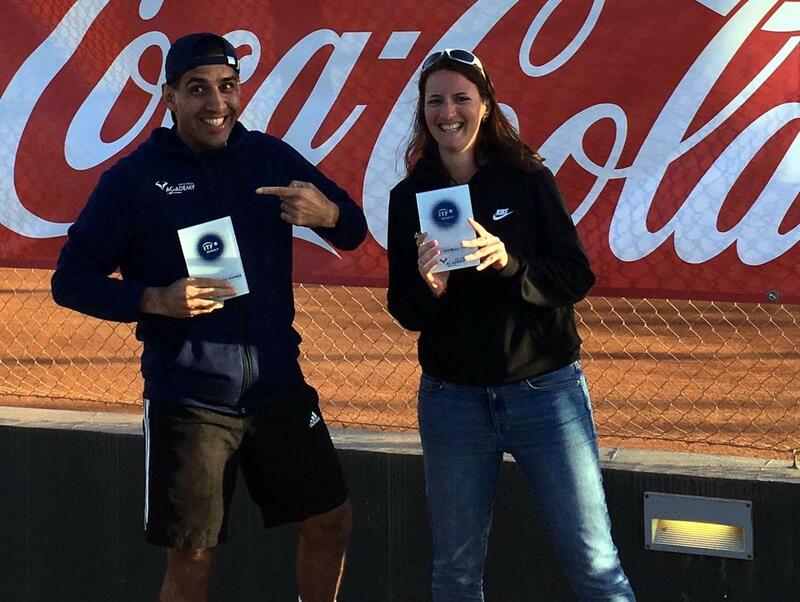 I’m delighted to say that once again, Local Tennis Leagues acquitted itself with distinction, finishing with champs in 4 categories and runners up in 6: congratulations to winners Aldona (who had been looking for her first ITF win!) and Marcus in the singles, and in the doubles, Adam and Gianluca, and Asad and Rosanna. Rosanna was also a runner up, as was Dev, Marcus, Julian and in the doubles Ferdi and Manuel and Marcus and Steve. Special mention too to the Local Tennis Leagues quiz night champs, “Mad Max”! As Dev said on WhatsApp: "A wonderful tennis holiday with a fantastic friendly bunch." Hasta pronto! The next ITF tournament at the Rafa Nadal Academy by Movistar will run from Sunday 20 to Sunday 27 October, prices and LTL discount to be announced. If you are interested, please register your details in the form below.